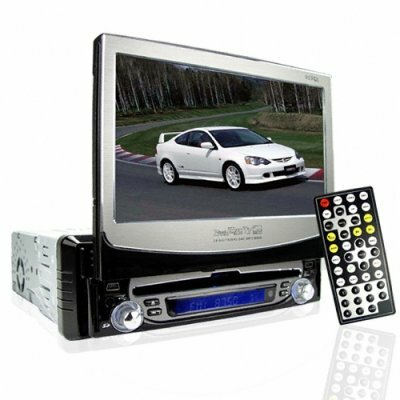 Successfully Added Innovative 7 Inch Touchscreen Single DIN Car DVD + Super Sound to your Shopping Cart. 7 Inch Large Motorized Touchscreen Car DVD Player. If you're after a 7 Inch Touchscreen Single DIN head unit then your on the right page. This piece of hardware packs some great new features like an innovative new software system, that's great to use and easy to pick up. The front panel looks great even when the huge 7 Inch mechanical screen is hidden away, with cool blue LED lighting and a great blue LCD. Simple button configuration and solid build quality round out a unit that seems to do every thing right. Innovative is an understatement for this fantastic looking unit, Chinavasion is proud to bring you such a high quality wholesale product at such an excellent price -buy today..
A cost effectively priced, quality and truly innovative product.